Daniel Llewellyn Roberts (b.1987) studied with Nigel Murray and Jan Repko. He is a graduate of the Royal Northern College of Music, and holds Masters degrees from the Royal College of Music, London and the Hochschule für Musik, Theater und Medien, Hannover. Daniel is a founding member of the Castalian String Quartet, winner of top prizes at the 2015 Lyon International Chamber Music Competition and the 2016 Banff International String Quartet Competition. Represented by the Young Classical Artists Trust, the quartet will tour the globe over the next few seasons, including performances at the Wigmore Hall, Aldeburgh Festival, East Neuk Festival, Bridgewater Hall, Cheltenham Festival and tours of China, Israel and North and South America. 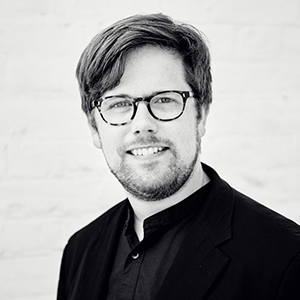 Daniel is in demand as both a violin and chamber music teacher, holding positions at Birmingham Conservatoire and St. Paul’s Girls’ School, London, and giving masterclasses internationally.